For professional craftsmen and individual hobbyists, CNC routers are a must-have. Not only do these devices speed up work, but they also improve the quality and precision of design. The automated capacity also appeals to those who wish to minimize workplace injuries. Plus, they make crafting complicated patterns much simpler. With these machines, anyone who wants to delve into wood crafting can easily do so. Initially, considering how a CNC machine works, industrial workers used to employ it for different purposes. Nowadays, many DIYers are getting their hands on these routers for personal use. If you’re one of those, then understanding how to operate CNC machine is the first step to maximizing its use. Once you’ve covered the basics of operation, working with these routers become more enjoyable. In this article, you will get to understand the procedures drafted on how to operate a CNC router. You will be guided on how to interpret the manuals. You will also learn about all the components of the machine. You will get detailed instructions on how to run the machine efficiently and safely. All these and more will be touched to help you understand how to use a CNC router. A detailed manual on how to operate CNC router machine must come with the purchase. ‘Detailed’ here, means that it must contain some key information regarding how to use CNC router. This article can function as such since it contains information on how to get familiar with the entire unit. It also describes the computer-based components, allowing you to understand how to get around using them. With so many parts combined to make it up, first-time use of CNC router machine might seem overwhelming. But once the key elements are evaluated, you realize it’s not so hard at all. That said, let us touch the first level on how to operate a CNC machine. Every machine is made up of the assemblage of smaller parts and CNC routers are no exception. Before you put it to use, getting a grasp of the main components of the router is the first step. Each part is unique and particularly designed to carry out a specific function in the machine. The interaction between these components is the secret to its efficiency. Input Devices through which then a part program is sent into the router. They may come as punch tape readers, magnetic tape readers or computers. Machine Control Unit or MCU which is the heart of the CNC machine. It runs overall control of all the functions of the router. Machine Tool or Component which machines the product part. Driving System which controls the axial movement of the machine parts. Feedback or Measuring System which oversees the machining processes. It ensures the accuracy of the machining and initiates corrections when required. Display Unit, which is usually a monitor through which the entire machining process data can be observed. Integration of computers into NC machines lead to a considerable rise in its level of efficiency. With it, sophisticated designs can now be accomplished as they are first drafted on computer software. Also, the higher level of computer data processing allows faster, more efficient delivery of design specifications into the MCU. The accuracy of design is now strongly assured due to this factor. Components in CNC router machines require computer assistance software to function efficiently. The computers used to run the software require RS-232-C communication. The software uses CAD drawings, G-codes and CAM programs to render designs into alpha-numeric languages. The rendering is now fed to the machine for final carving. The CAD (Computer-Aided Design) is a 2D OR 3D drawings of a project or item. These are generated from software programs formulated to create detailed drawings and designs. CAD drawings are great for designers who wish to improve skill levels and enhance productivity. These drawings are created on a computer or workstation where the precise dimensions and measurements of a project are drafted. CAD drawings are generated into a file or picture that can be uploaded into the CNC machine. Ensure to use good quality CAD models like this will affect the quality of the finished part. It will also affect the time frame it takes for the part to be ready. However, smoothing tools from the software can be used to improve your models. CAD software is virtually easy to use and quite affordable. Beginners could freshen up their drawing skills by practicing with the free versions available online. Once you’re satisfied you’ve gotten used to the virtual environment, you can then purchase the more advanced packages. The numerical control programming language was employed to command the CNC machine, and that is broadly called the G-code. They control the entire machine movement of the CNC router and determine the dimensioning of the product. They set the coordinating systems, speed, and depth of cutting and tool information, like offset. Basically, understanding G-code is directly proportional to understanding how to operate a router. There are two ways to input G-code into CNC routers. G-coding can be done manually, by typing the codes directly into the CNC input device using a command prompt. This method is good when making simple designs but it requires you have the G-code reference of your machine. With it and simple programming commands, you could determine the speed and direction of machining. G-code can also be generated using software, though they can be very pricey. This method though is more convenient when dealing with complex, detailed designs. G-codes can be generated from CAD drawings. This can be done by converting the CAD file into CAM using CAM programs. CAM (Computer-aided Manufacturing) programs are programs that create tool paths in the CNC routers based on CAD data. CAM software converts CAD data into G-code for the machine to follow. The G-code created will contain details about the converted 3D model in machine language for the machine tool to follow. This determines how deep and fast the machine tool will cut. CAM programs are also used to tell the machine what type of tools to use. This has to be indicated before initiation of conversion. In commercial CNC routers, G-codes can be directly transferred into the machine. Hobbyists using PC-controlled routers require a machine control program where the G-code can be uploaded to start the router. Once the code has been sent, ensure the material is properly set and held firmly in place on the machine table. Once that is confirmed, start the program and watch as the machine carves out the design. The designs carved out are more accurate and at a much faster rate than by hand! Plus, you can sit back and enjoy a drink while you wait as this method is so much more relaxing. How to Operate Cnc Machine? 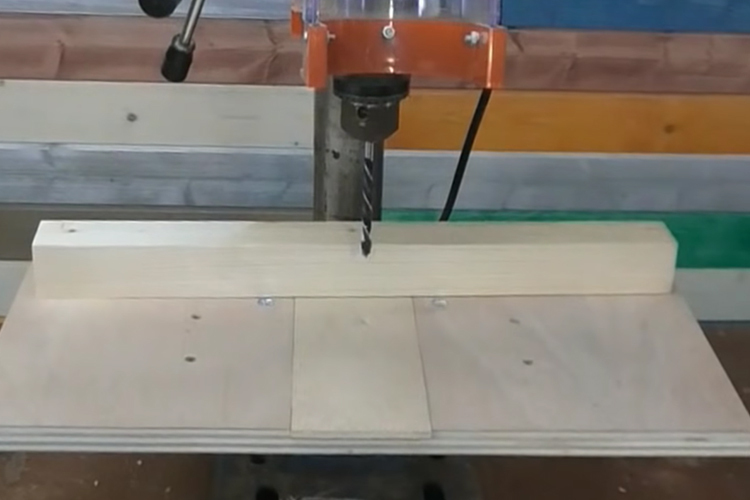 Learning how to operate a router is probably the first thing you would want after having a well-built CNC router. There are basic steps of operation to follow in order to ensure the CNC machine works smoothly. This is also important as it helps you minimize machining errors and physical damages. Basic steps of operation are starting the machine, choosing and changing endmill, placing workpiece, making axes and uploading work file. Turn the ON/OFF switch to power on the router controller box. Start the remote controller by pushing the Start button. It is usually green. Check the dustbags for contents. Then turn on the dust collector. Push the white button to start the vacuum table. The endmills are the router bits limited to using and they come in different forms, shapes, and sizes. When choosing endmills, there are three factors to consider. These are a number of flutes, endmill shape, and size. These factors are important as the type of design depending on the type of cutting blades used. Flutes in CNC lingo refer to the individual cutting edges on the spiral of endmills. Therefore, the number of flutes on a selected endmill determines the cutting power of the endmill selected. Take, for instance, two endmills; one with two flutes and the other with four. The endmill with two flutes will be most ideal for working on softer materials while that with four flutes will do best on harder materials. Endmills also come in a variety of shapes. The shape of the endmill will determine what task it is best suited for. There are different shapes of endmills but the basic types are three; Flat, ballnose and v-bit. Flat endmills are ideal for making a clean profile. They are also best for routing pockets and drilling holes on workpieces. This is because the end of the shaft has a flat profile. Ballnose endmills are great for 3D surfacing as the shaft ends in a rounded top. However, they are only suited for this kind of tasks as they will not produce neat profile cuttings. V-bit endmills have a pointed shaft end, making them ideal for engraving. Users who are interested in carving out words and letters would prefer this endmill. There are many other types of endmill shapes available on the market. However, it is strongly advised to consult the shop manager or a CNC router professional before using any of them. There is a wide range of endmill sizes, both metric and imperial. Shorter endmills tend to produce cleaner cuts while longer ones might bend easily due to vibration. Also, endmills with larger shank diameter tend to produce cleaner cuts. They are also more durable. Also, bear in mind the diameter of the endmill cut. Smaller diameter endmills tend to ensure greater detail in the product. Take note, however, so as not to select endmills with diameters smaller than your project require. This can stretch the runtime of the program. The depth of the cut is also to be considered when choosing the appropriate size of the endmill. When picking, ensure to select something that can provide the required depth but is also as short as possible. This is simply because shorter endmills are usually more rigid and rarely vibrate. Make sure the spindle start button does not press while you’re changing. Do this by placing the remote controller in the holder. Carefully loosen the collet from the spindle with two wrenches. Remove bit first, followed by the collet. Place old endmill in toolbox before replacing the removed items. Place the new endmill into the collet making sure it is high enough so a good portion of the shank is grasped. Smaller endmills should be at about 2mm from the start of the helix. Tighten the nut/collet/endmill back into the spindle but make sure not to use excessive force. Setting up your workpiece properly is also important when learning how to run a CNC machine. It determines whether there will be lots of errors to correct or not. It also minimizes the chances of material slips. Many techniques are applied in CNC machines to hold workpieces in place- T-slots, clamps, threaded inserts vices, jigs, and screws. The most preferred, however, is the vacuum system as it allows maximum exposure of workpiece for cutting. It is most common in CNC routers used in woodworking. These employ vacuum pressure to keep the workpiece in place. So, we must learn how to ensure this works properly. Check the vacuum zones under the workpiece to ensure the rubber strips are placed around the edges. This ensures how much air pressure will hold your work down. In cases where the workpiece is too small to fill the vacuum zone, narrow the slits down with plastic plugs or shorter rubber strips. Then, place your plate back on the vacuum table, select which vacuum zone you would like to use. Then push the white button to activate the vacuum. Before use, the axes must be set to ensure the CNC makes clean, accurate cuts. There are three axes to be set. The first is the X and Y axes while the third is the Z axis. Both types require different procedures to set up. On the setup screen, each axis must be set to zero. This way, the endmill will only be cutting it is supposed to. The position of the endmill tip should be at the left back of the material surface. When satisfied, you press (XY=0) and (OK). Setting up the Z-axis can be done using any of two methods; the paper method and the tool sensor method. For the paper method, place A4 paper in between the part and the bit. Bring the Z carefully down to the paper. Once at 5mm from the top, shift to stepper movement by pressing (~). This allows you to safely move closer to the tip of the bit just touch the paper surface when you move it. Next, press (Shift) +(X+Y=0) and (OK). This sets zero at 0.100mm over the surface. For the tool sensor method, place the tool sensor on top of the part to be cut in. Bring the tip of the mill bit down to 8-10mm above the sensor plate. Press (Shift) + (~) to automatically set the zero point of the tool. Remember to always reset Z to zero whenever you wish to change mill bits. X and Y should be left untouched. Insert a flash drive into the reader. Wait for the ‘Read USB’ message to appear. Scroll through the library to locate your file. Use the scroll buttons for this. Once located, press ‘OK’. To confirm, press ‘1’. Put on safety goggles ear protectors. Press start to initiate machining. It is essential to never forget about safety when using CNC router machines. Adhere strictly to the following instructions in order to enjoy injury free usage of the routers. Always wear eye and ear protectors when using. Safety goggles and ear plugs/mufflers must be employed to shield users from the noise and flying chips. Do not operate a router in a moist environment. Keep the atmosphere fairly dry. Make sure the tables are free from loose materials and tools. Keep it clean at all times. Ensure you use the correct endmills required for the job. Check thoroughly to confirm before use. Never leave the router running without supervision. Pause the job or place someone to overseas work if you must leave. Never lean or rest on the router while it runs. Keep hands and feet off the table or at least 6 inches from the cutting tool while router runs. Do not force material into the router. Under no circumstances must you use non-routing tools. Never attempt to readjust the material while router runs. Keep hands off material until machining is complete. Shut down router immediately if endmills break or vibrate too much. Always replace old and worn-out parts of the router. Use the vacuum or dust collector while router runs and empty regularly. 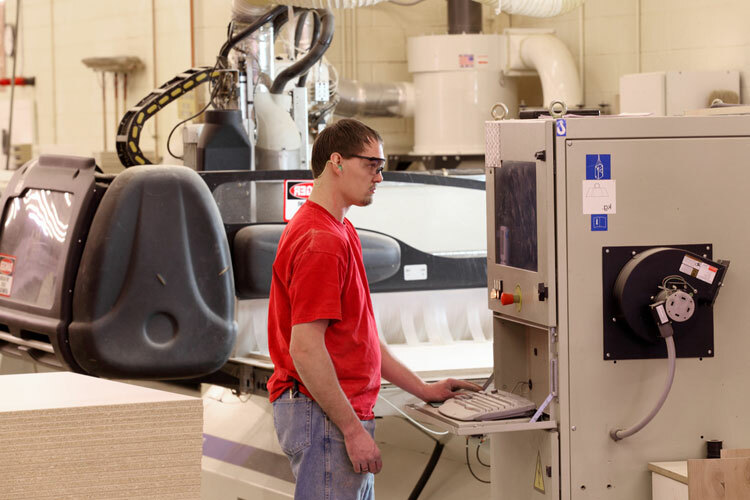 Knowing how to operate CNC machine goes beyond just learning how it works. Paying attention and care to the procedures on how to operate, maintain the components is also necessary. Also, the following safety rules reduce the risk of harm or damage to your machine. When these two notes are put to practice, operators can then take pride in watching their designs come to life. 5 How to Use a Scroll Saw for Some Intricate Woodworking Tasks? 10 How Does a Wood Jointer Work? Learn the Mechanism Behind It!